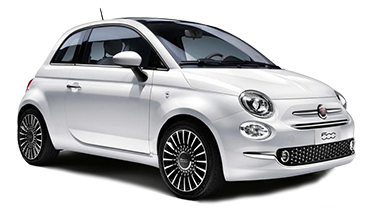 The compact car is becoming quite popular among Seattle drivers, which means that everyone is trying to compete with the 2016 FIAT 500. The Italian design, performance, and other features found in every FIAT achieve a standard that isn’t likely to be met by others, but there are still those who try. The 2016 Ford Fiesta may be considered a competitor of the Italian designed FIAT 500 but what do the facts say? We put these two small cars side-by-side to see exactly what separates these two models. Compare the FIAT 500 vs. Ford Fiesta with us below and then come see the legendary FIAT 500 in person with us at FIAT of Tacoma serving Kirkland, WA. The iconic Italian design behind the 2016 FIAT 500 is absolutely unmistakable on Olympia roads. Outside, the headlights on every new FIAT 500 are automatic with delay-off function, which are features that will cost you more on a 2016 Ford Fiesta. This is just the beginning of how the 2016 FIAT 500 is designed to provide you with more for your money. The exterior mirrors are heated at every level which, once again, will cost more in a new Ford Fiesta. Step inside, and the design differences become even more apparent. The body color dash inside the new FIAT 500 will wow the senses and, though it is often considered a very small car, the new FIAT 500 provides substantially more maximum cargo capacity than either the sedan or hatchback models of the 2016 Ford Fiesta. Even power windows are an upgrade on the Ford Fiesta while every 2016 FIAT 500 provides power windows with express down feature. This is just the beginning of a long list of generous standard features you will find in every new FIAT 500 but will have to pay more for in a new Ford Fiesta. Discover further design differences here at FIAT of Tacoma, WA. When comparing the performance specs between the new 2016 FIAT 500 and the 2016 Ford Fiesta, it is important to look at the whole picture. 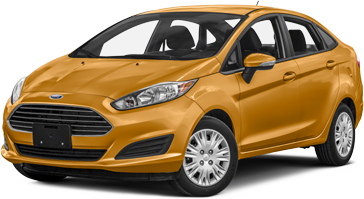 The Ford Fiesta may appear to have a slight power advantage, but considering it is over 200 pounds heavier, you are not likely to notice a difference during your Lakewood commutes. What you will notice, is the fun and nimble nature of the 2016 FIAT 500. The 2016 Ford Fiesta is only available with drum brakes in the rear while every new FIAT 500 comes equipped with 4-wheel disc brakes. This provides a greater level of safety and a more exhilarating driving experience. Of course, it also won’t cost as much to enjoy miles of fun in a FIAT 500 thanks to its significantly better fuel economy. At first glance, it may seem that the new Ford Fiesta will perform better for your budget with a smaller price tag, but once you pay for all of the upgrades to equal those that come standard in a FIAT 500, you will find that the FIAT 500 provides much better value. We invite you to stop by and experience the Italian performance that comes with a new FIAT 500 firsthand at FIAT of Tacoma serving Bellevue, WA. Safety is a top concern no matter what vehicle you are considering for your next upgrade but it is particularly important where small cars are concerned. The safety testing results from the independent experts appear to show similar safety results. However, where the NHTSA determined a higher likelihood of thoracic injury from a side impact in the 2016 Ford Fiesta, the new FIAT 500 enjoys a top 5-star side impact safety rating with no noted safety concerns. Naturally, the standard 4-wheel brakes found on every new 2016 FIAT 500 will enhance braking better than the rear drum brakes that come with the new Ford Fiesta. Aside from the superior brake components, the new FIAT 500 also comes with an advanced brake assist features that you won’t find in a new Ford Fiesta. The best way to truly grasp the performance differences between the two models is to schedule you test drive with us at FIAT of Tacoma. The market today is full of options for your next vehicle and we want you to have the information you need to make the best choice. This is why we have developed other comparison pages like the FIAT 500 vs. Ford Fiesta, along with detailed model pages so you can see all of the benefits that come with a new FIAT. We always keep a wide selection of all the latest FIAT models for you to choose from. Our knowledgeable sales consultants always make you and your best interests the top priority. Not only do we offer great deals on new FIAT purchases and leases, our team is also top-notch when it comes to financing so get approved today! We invite you to come experience the difference of the FIAT 500 vs. Ford Fiesta at FIAT of Tacoma where we are conveniently located at 3740 S Tacoma Way, Tacoma, WA 98409. Give us a call at (253) 830-5700 and let us know when you’ll be here. We’ll have everything ready for your test drive and we look forward to meeting you at FIAT of Tacoma.